Supra. A Latin word meaning ‘above’ or ‘transcending’. And fittingly, for a vehicle loved by so many, the name of Toyota’s most famous sports car. Today, over 16 years since production ended, the Supra still enjoys iconic status among sports car fans. 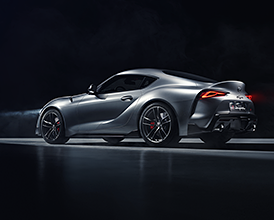 From a starring role in the first Fast and the Furious movie to the choice of wheels for gamers in Gran Turismo® as well as for a generation of passionate tuners and drifters, the Supra has cemented its place in popular culture and inspired young and old around the world. 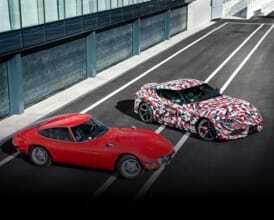 The Supra bloodline can actually be traced back to the beautiful Toyota 2000GT of the ’60s. 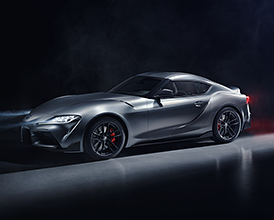 With its long, sweeping bonnet, rear-biased cabin and in-line, 6-cylinder engine and rear-wheel drive layout, the 2000GT’s influence can be felt in every incarnation of the Supra. Over its 24-year production life, the Supra evolved from a sporty and luxurious grand tourer to the pure, uncompromising, sports car we know from the ’90s. Like fans of many of the world’s most influential cars, enthusiasts often refer to Supra’s four generations by their internal chassis code: A40, A60, A70 and A80. Beginning life as the Celica Supra, a larger and more powerful spin-off of the second-generation Celica coupé, the Supra A40’s smooth 6-cylinder engine and luxurious demeanour was perfect for the booming grand tourer markets in North America and Japan. The Celica Supra came to Europe with a sharp new look based on the third-generation Celica coupé. A wedge-shaped design, flared wheel arches and dramatic, pop-up headlamps, along with the pre-requisite powerful engine, meant that the Supra fitted perfectly into 1980’s design culture. 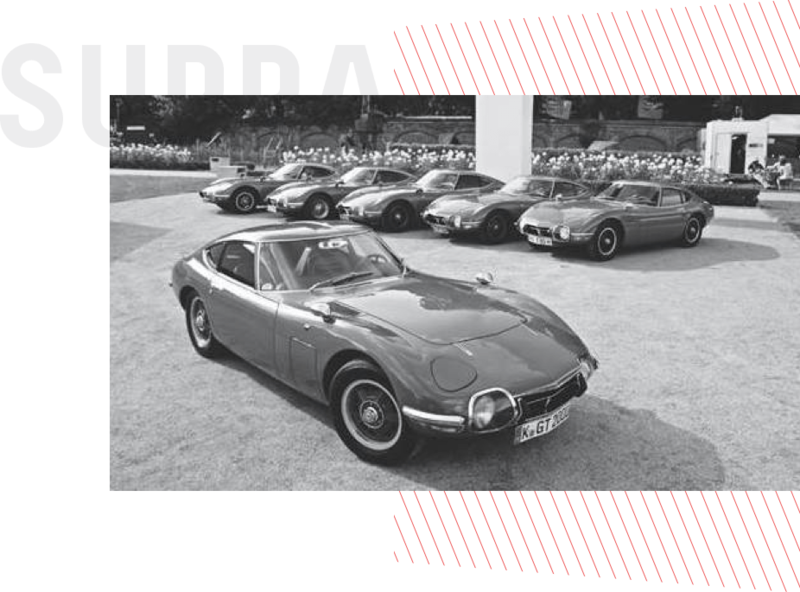 The A70 marked the separation of the Celica and Supra models. An all-new coupé body covered a chassis engineered more for performance than comfort. Electronically controlled, double wishbone suspension and a range of powerful variants including a 270 bhp 3.0GT Turbo A, meant the Supra laid claim to the title of fastest Japanese car at that time. The styling of the highly-anticipated A80 owed much to its 2000GT ancestry. Shorter, lower and wider, it incorporated lightweight materials that shaved off 100kg compared to its predecessor. With its potent twin-turbocharged 3-litre engine producing up to 326 bhp, results were explosive and the Supra would give Italian and German supercar manufacturers sleepless nights for many years. 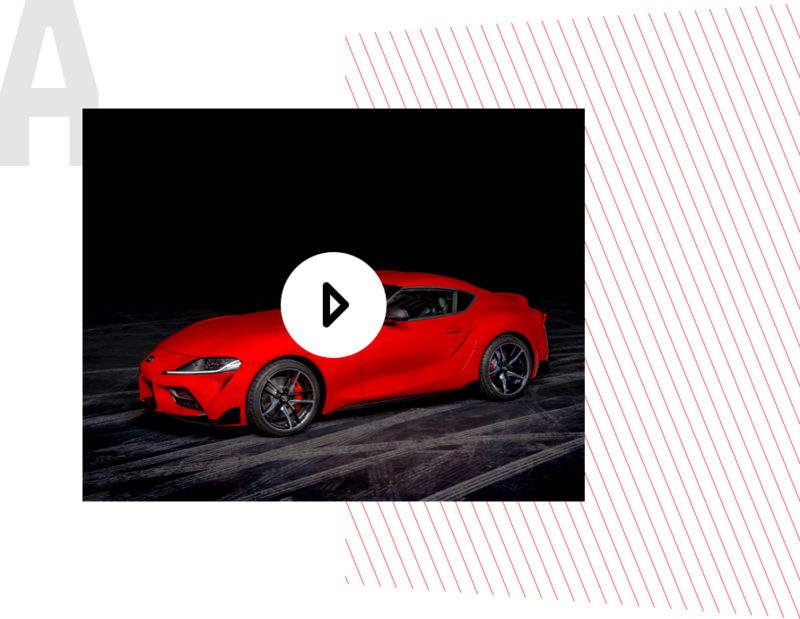 Thanks to the launch of TOYOTA GAZOO Racing’s GR Supra Racing Concept, the link between racing and the Toyota GR Supra A90 has never been clearer. 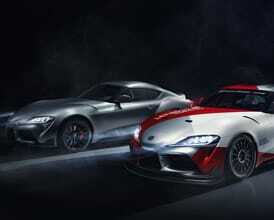 But for Toyota, the importance of motorsport in the development of its road cars has been felt for decades. Behind every great car, lies a great mind. In the case of the new Toyota Supra, the vision and drive came from a veteran of Toyota, Tetsuya Tada, chief engineer of the A90 project. 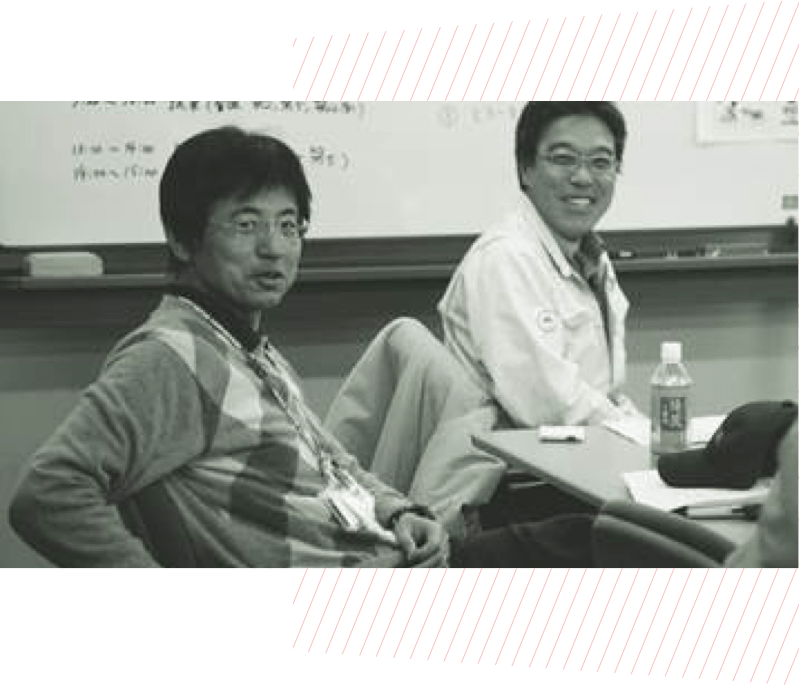 Growing up as the son of a rally driver, obsessed with car magazines rather than manga comics, it comes as no surprise that Tada-san became the petrolhead he is today. After a spell as his father’s co-driver, he progressed to rally driving, and fondly recalls tweaking and adjusting the settings of his first car, a Corolla AE86, so that it handled the way he liked it. After joining Toyota in 1987, Tada-san spent his time developing cutting-edge ABS technology for Toyota’s rally team. 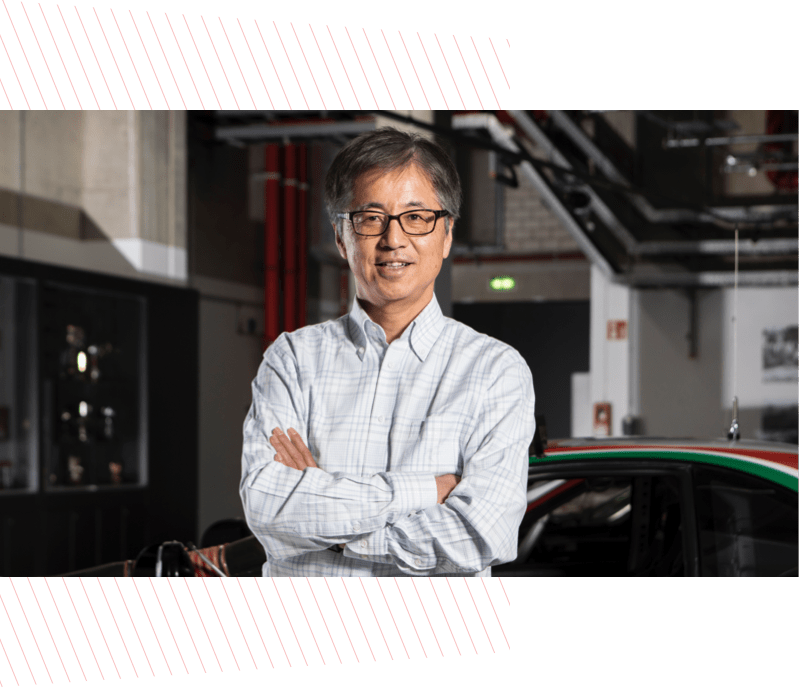 In the late-90s he worked with his then boss Isao Tsuzuki, chief engineer of many of Toyota’s greatest sports cars including Celica, MR2 and the A80 Supra, gaining the broader skills and experience he needed on vehicles like the family-orientated Toyota Raum. 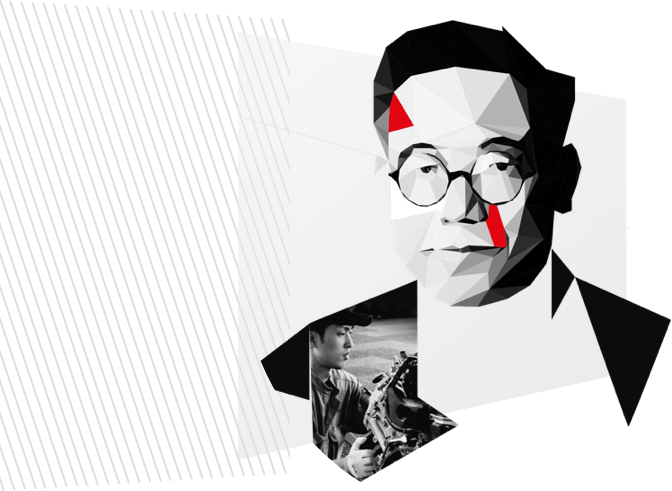 Some years later, the opportunity he’d been dreaming of finally arrived: to make a car that delivers pure driving pleasure and bring sports car fans back to Toyota. That car was the GT86. Toyota’s new sports car excelled at giving drivers of all abilities the confidence to have fun at the wheel again and garnered plaudits from the world’s media for the purity of its drive. Just as the GT86 began to hit our roads in 2012, Tada-san’s ultimate brief came in. This one would call on all his experience, determination and tenacity. This was his chance to make a sports car without compromise, one that delivered the pinnacle in driving pleasure and with it a name that had been away too long. TOYOTA GAZOO Racing From deserts to dunes, gravel to snow, day to night, we’re committed to overcoming every limit to make ever-better cars. Discover more about TOYOTA GAZOO Racing’s motorsport activities. Toyota make the podium at Dakar 2016 - Toyota Europe Relive the mud, sweat and cheers of Dakar 2016 as two Toyota teams raced towards the podium, finishing 3rd and 5th. Toyota's Journey to Dakar 2016 Dakar’s back for its eighth successive year in South America, join the action and follow the Toyota teams' progress. Toyota at the Geneva Motor Show 2017 | Toyota Europe Appropriately, in one of Europe’s priciest cities, Toyota has a wealth of rich pickings on show for visitors at Geneva. From a first glimpse of the dynamic new Yaris, its hot GRMN sibling and radical urban i-TRIL Concept to revelling in the latest TOYOTA GAZOO Racing machinery – the Geneva International Motor Show is the place every Toyota fan should be.